East meets West. Ten out of the thirty-five games listed are Korean MMOs hoping to make it in America and Europe, with several companies banking on the success of such a translation. Casual MMOs. 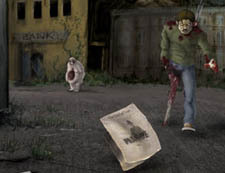 Three of the titles listed below are trying to break into the casual space, with appealing cutesy graphics and Flash-based play. Most casual titles aren't persistent, though games like Runescape have done well out of the browser-based market so far. New developers. 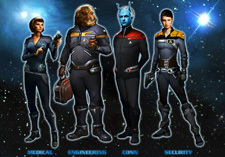 Fifteen of the studios below are working on their first MMO, or their first game altogether. 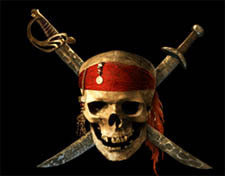 This could mean increased innovation, or more problems -- MMOs are risky business. 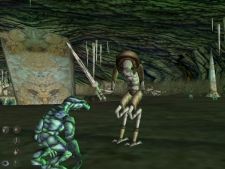 MMO History: With a staff which is volunteer-based, HonorBound has been working on this game since 1998 -- it's the first project for the company, and an ambitious undertaking for a team of volunteers. 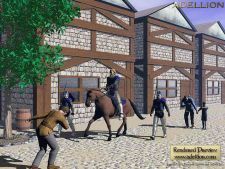 About the Game: Adellion is set on a fantasy-style world with mediaeval technology; the game features permadeath and focuses on role-play, with a number of cultures and skills available. MMO History: From veteran MMO developer publisher NCsoft, Aion joins other successful fantasy titles such as Lineage and Lineage II. Launching in Korea before America, it's effectively an East-to-West conversion. About the Game: Aion is set in a world "torn between good and evil", with a complicated "PvPvE" network of allegiance and hatred between factions. We'll hopefully find out more at E3. MMO History: Webzen, developer of MU Online, is publishing a multitude of MMO projects at the moment. Bringing a Grand Theft Auto-style real-world crime game to the MMO concept is going to be an interesting journey. About the Game: A MMO cops and robbers game, APB features "urban warfare in a 100% explorable city". The game features heavy customisation rather than level-based gameplay, and a persistent turf war between Gangs and Law Enforcement factions. 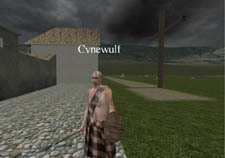 MMO History: This appears to be World Fusion's first MMO, though the company has been around for 19 years working on large software projects. 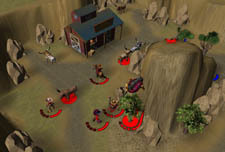 About the Game: Featuring a "massive", round world and features such as player housing, Atriarch is set in an alien environment. Characters can advance without killing and will be able to advance offline as well as online. Release Date: TBA; beta signup available. 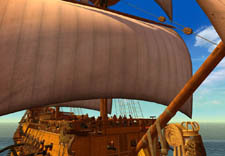 MMO History: Three Rings Design is the studio behind popular Java-based MMO Puzzle Pirates, and while Wild Western games aren't exactly a sure bet, recent consoles titles like GUN have helped popularise the genre. About the Game: Free to download and play, Bang! Howdy is a cowboy MMO that centres around tactical strategy. It will presumably be similar to Puzzle Pirates in that it's a themed Java-based game, easily accessible to casual players, though the strategy focus is a new angle. Release Date: TBA; beta signup open. 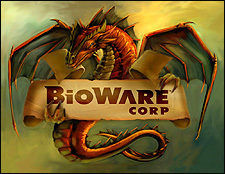 MMO History: Well-known for its RPGs such as Knights of the Old Republic and Jade Empire, Bioware has many gamer fans. It's acquired talent from a few well-known MMO companies for this upcoming project, including Ultima Online and Sony Online Entertainment veterans. About the Game: Bioware only recently announced it was opening a new studio in Austin for MMO development; nothing is known about the game itself hopefully we'll hear more about the project at E3. 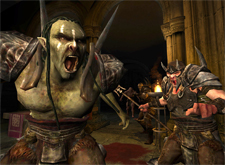 MMO History: Horror MMOs are rare, though horror games are less so. Tulga Games is the developer of MMO Horizons: Empire of Istaria, a fairly low-key fantasy MMO. 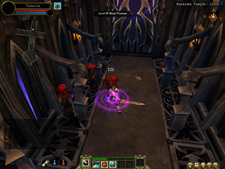 About the Game: Dark World Online is a MMO with a modern horror setting; players will be able to choose between vampire, werewolves and human races. 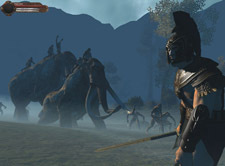 The game features PvP and PvE gameplay, but little more is known at this early stage. MMO History: SOE is certainly one of the big names behind MMOs at the moment, though this comics-based MMO will be encroaching on fellow giant NCsoft's territory. With both DC Comics and Marvel entering the superhero space, things are certainly looking crowded. About the Game: DC Comics' Jim Lee was recently announced as creative lead, and the game will be "as close to the DC Comics source material" as possible. Holy multiple worlds, Batman! Release Date: TBA; beta signup available soon. MMO History: Australian developer Auran is behind games like Trainz, but this appears to be their first MMO. The transition from railroad simulation to fantasy multiplayer gaming may be a tricky road. About the Game: Fury claims to combine both RPG and FPS elements to create a fast-paced combative MMO, with "no ganking, no grinding, no waiting, no wimps". According to its website, the game is launching at E3. MMO History: Originally announced for development in 1999, Hero's Journey has had a long road to production. 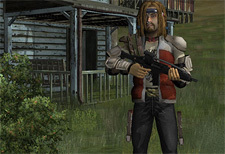 Developer Simutronics has a long history in multiplayer games, having developed several MUD titles, though the 3D MMORPG world seems fairly new to the company. About the Game: Hero's Journey claims to focus on "fun, action-packed, adventure-style" roleplay; dual classing is mandatory, with nine classes to choose from. The game is fantasy-based and has an adaptive 'Journey' system which allows players' adventures to be customised. MMO History: Cryptic showed the world it was possible to make a superhero MMO with City of Heroes, though it landed them with a hefty lawsuit from Marvel. Now the comics giant is doing things their own way. Sigil has many Sony veterans onboard who'll be throwing their MMO weight behind this. About the Game: Microsoft's first console MMO will most probably be superhero-themed, and will allow players from console and PC versions to interact. Little more is known; we hope to hear more at E3. MMO History: An independently-developed project, PlaneShift is an open-source project, an innovative direction to take MMO development. It's possible to join the team if you have the time and skills to help out. 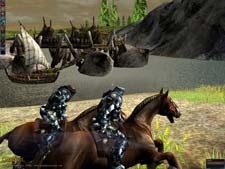 About the Game: PlaneShift is a 3D fantasy MMO, free to play. Part of the team's mission is to recreate the complexity of a mediaeval world that can be enjoyed by role-players. Release Date: Alpha releases are downloadable; v.1.0 release TBA. MMO History: Another of NCsoft's veritable harem of games, this was only announced towards the end of April 2006. Adding the concept of MMO to a sports title is an interesting experiment, but NCsoft is one of the few companies with the weight to try it. About the Game: The only sports MMO in this line-up, Soccer Fury combines "arcade-style" football with an online multiplayer element. With teams, leagues and tournaments, the term "MMO" is perhaps stretching it a little, but the game seems aimed at the MMO space. About the Game: Very little is known about the game other than its platform and developer; we hope to learn more at E3. Possibly called Fantasy Earth: The Ring of Dominion (we don't speak Japanese). MMO History: An indie studio working on this MMO since 2002, Shadowpool have poured a lot into this one game, without committing to a release date. About the Game: One of the few MMOs to include permadeath, Trials of Ascension is a fantasy-based game with no fixed class system. With the twist that player names aren't visible (a player can tell you whatever name they want you to know them by), the game encompasses twelve races from pixies to dragons. Honourable mention goes to the expansions we're hoping to see at E3, which include World of Warcraft: The Burning Crusade and a new chapter of Guild Wars. Also, Egyptian MMO A Tale in the Desert is about to start a second beta for its Tale 3 expansion. Sony Online Entertainment will also be showing EverQuest II's third expansion Echoes of Faydwer, and its third adventure pack The Fallen Dynasty. With over 40 products jostling for buyers' attention, the MMO landscape certainly looks interesting -- if crowded -- in the near future.